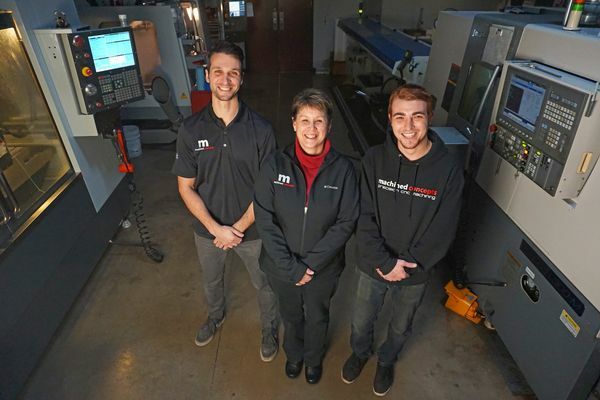 After leaving a corporate engineering job I started this company in 2008 for several reasons, but the main reason was my passion for and belief in American manufacturing. I really can't think of anything more gratifying than being able to take an idea and perfect it into reality. There was a time in this country when we valued having a hard work ethic, and the ability to create something tangible with our own two hands. As a country we used to be a manufacturing giant and as we move past one of the greatest recessions in history, it is evident that the United States is seeing a resurgence in manufacturing... we are just glad to be a part of that trend. Machined Concepts LLC is a Chicago based precision CNC machine shop. We make the highest quality machined components from prototype to production. By continually investing in cutting edge equipment and technology we can remain at the forefront of the precision machining and manufacturing industry. By utilizing cutting edge technology we are able to pass on our increased efficiency to our customers. We stand behind every product and support our customers to ensure your satisfaction. Total accountability, one thing you won’t get overseas. We take pride in our craftsmanship. Our work speaks for itself. See for yourself, we promise you won’t be disappointed.